I need to start this blog off with counting my blessings. Because I have a very, very good life. I’ve spent many years being sick – literally not being able to work or eat or socialize, depending on those around me for too many things. Now I have work, family and friends that I love. I have a safe home that is a haven. I can savor food and have to worry about gaining weight rather than not weighing enough. I do not doubt that I am loved. But I also have a chronic illness, one that I like to pretend isn’t around anymore. It’s not easy to forget – I have bad joints, arthritis in my spine and digestive issues still. But I am fortunate that it’s not with me as daily as it used to be. And so it hits me hard on days like today, when I’m feeling sad, vulnerable, unsettled… depressed. I know the patterns of my body. I know where this is coming from and when it will leave. And I am very aware that EVERYONE has days like this. It’s just that, with the addition of having a Lyme Disease ridden history, it hits my body in more places. My joints ache terribly, and I want to smash my bones with a hammer. My normal logic and sensibility is no match for the shakiness in my stomach which at times is overwhelming. So I have no option but to ride out the wave and, as the sun shines into my quiet kitchen, I’m going to find something else to focus on instead. It’s time for something complicated. Something that’s going to take all my attention. 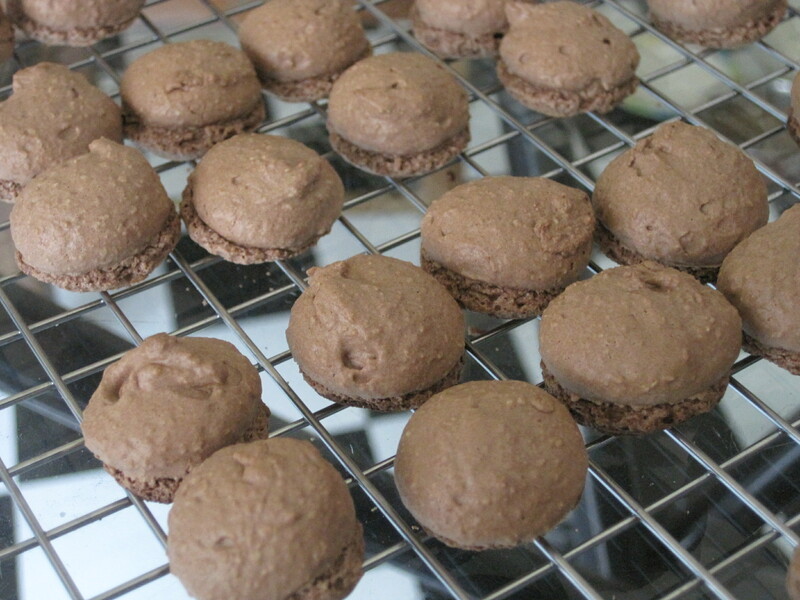 It’s time for French Macarons. Oh, another delightful thing I’m thankful for is the addition of some wonderful new ladies into my life. 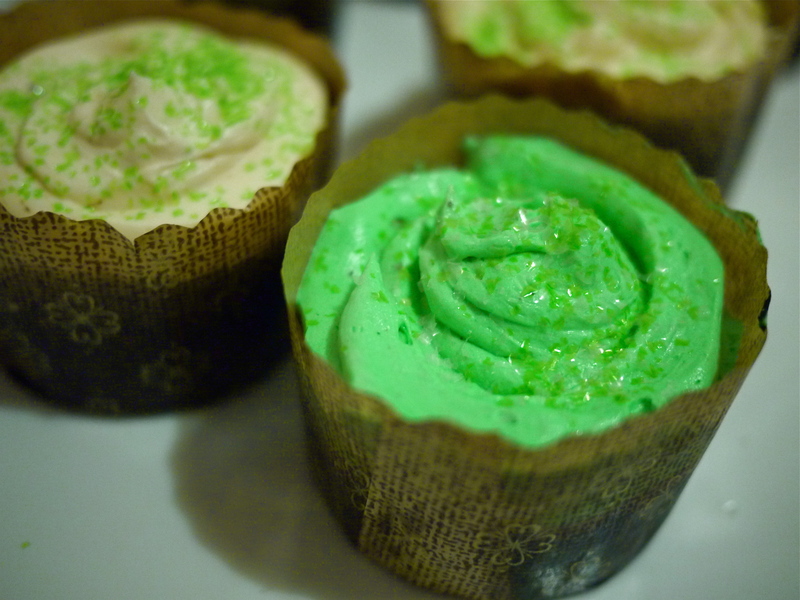 A few weeks ago one of such ladies sent me a link for a macaron baking class two blocks from my boyfriend’s apartment. And then, days later, another amazing lady brought up her new obsession with macarons and stated that we need to learn how to make them. I understand the obsession with these tiny, melt-in-your-mouth bites of heaven. And after baking them, I get why I need to take a class to learn how to perfect them. 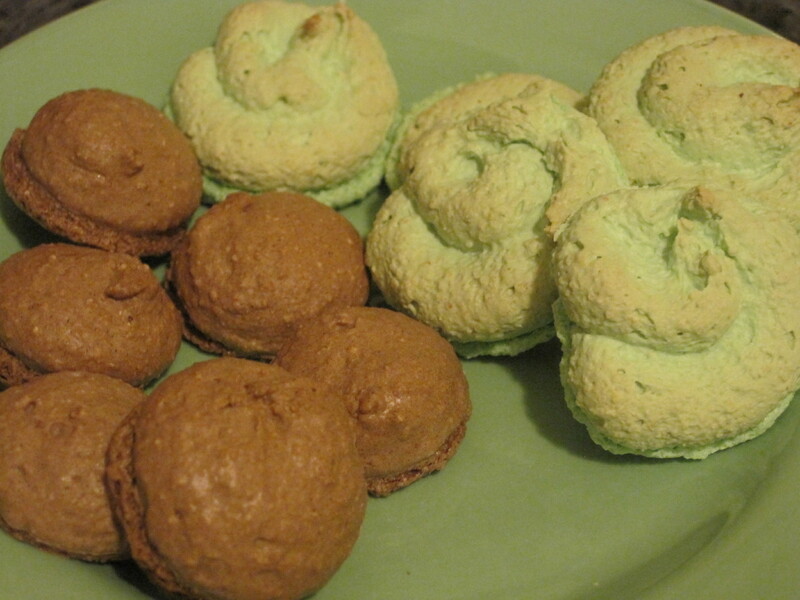 I’ve basically made little delicious crunchy meringues and not macarons. Twice. The second batch being worse than the first. But everyone’s gotta start somewhere, right? Take time with “room temperature”: I let my egg whites stand for about two hours, but many recipes say to leave them even for 24 hours. Good to know. Grind the almond flour: Most recipes say to pulse the almond flour and confectioner’s sugar together. I think they’ll fold better if I regrind the almond flour first and then pulse the sugar in. Trust what “stiff peaks” look like and don’t risk over-mixing: The recipe says that whipping to stiff peaks takes about 8 minutes. Mine took about 2. The first batch I whipped an extra 2 minutes, fearing that I wasn’t whipping enough. The second time (because my first batch wasn’t perfect) I let them go for about 6 minutes, resulting in a VERY dry batter. I know what “stiff peaks” are. Next time I’m trusting that. Know the batter consistency: There is nothing in the MS recipe that says what the batter should be like. One site refers to it as “flowing like lava” or “ribboning”. 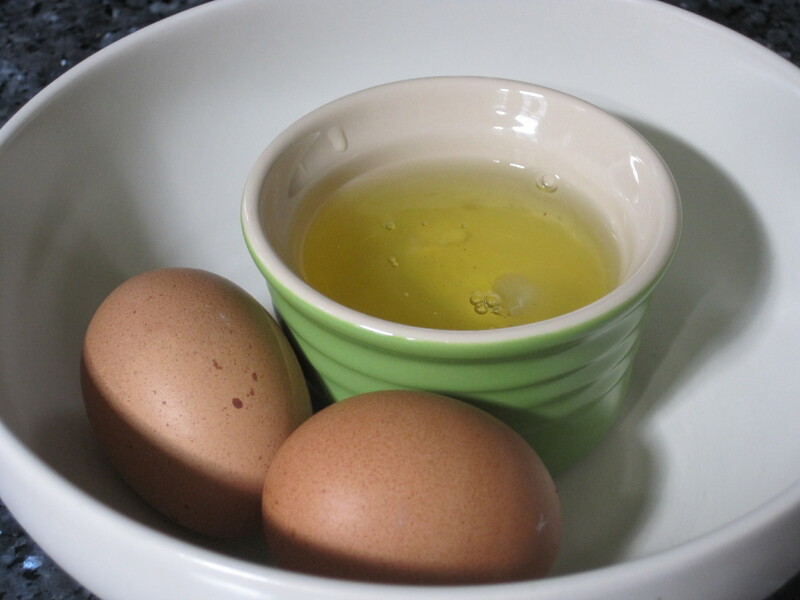 Jackie Writes‘ website shows in pictures that the batter should drip slightly but be rather thick. I’m going to have to play with this. It may be time to buy a digital scale and start measuring, something I’ve always wanted to do but never invested the time in. Pipe them thin: This has something to do with the consistency, obviously, but they should be rather thin. And they’ll puff up, not out, so piping them into the proper size is important. 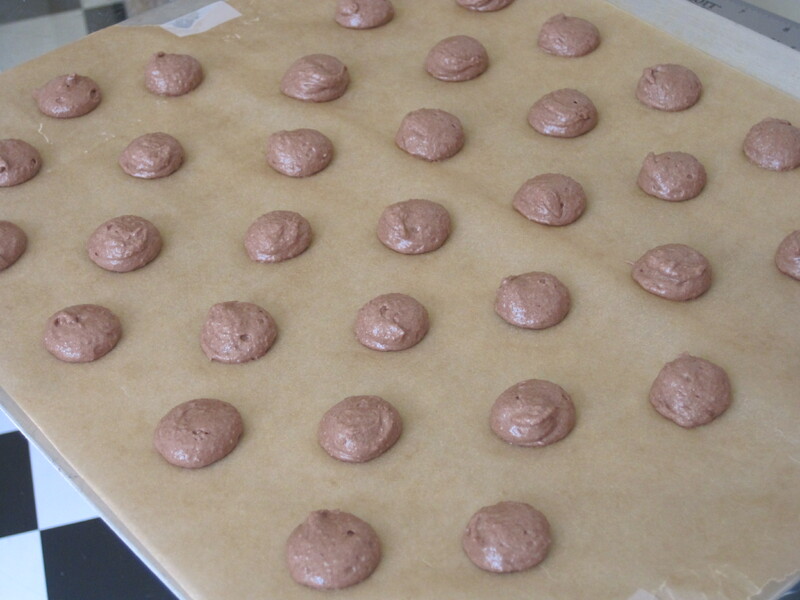 Let the macarons sit: The MS recipe says to let them sit for 15 minutes, but doesn’t stress this importance. So I stuck them in AT 15 minutes. Other recipes say to let them sit longer. Some 30 minutes, some 2 hours. This is important to let the shell set on the top of the macarons. I was worried when I saw this happening. It also appears to let the batter spread better. Lesson learned. Watch the oven heat: This is something obvious. I haven’t bought a thermometer for my oven in the apartment I moved into this past August. Silly of me. Get moving, Jacqueline. Please drop a line with any advice! Baked macaron shells - great taste but too crispy and small.